It was a busy first day back in session at the National Assembly for the CAQ, as both the Premier and MNA's fielded questions about the future of education, the firing of a MAPAQ whistleblower, and a potential ban on religious symbols in the workplace. Quebec's Education Department admitted Tuesday it began surveying schools months ago about how many employees wear religious symbols on the job. A copy of the survey was sent to schools across the province and asked principals to count the number of teachers and other personnel who wear visible religious symbols. Last week, the Coalition Avenir Quebec government was accused of religious profiling after Education Department officials called school boards seeking records of how many board employees wear religious symbols. The calls came as the government prepared legislation to prohibit public servants in positions of authority -- including teachers -- from wearing such symbols as the hijab, kippa or turban at work. Education Minister Jean-Francois Roberge said last week's criticism was unfair because the same questions had been asked in a survey that was conceived last June, when the Liberals were in office. He said the survey was officially sent by the Education Department in November, without his knowledge. 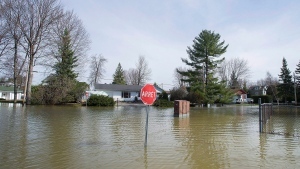 "I think it was an enormous, enormous exaggeration from school boards who were screaming loudly at us last week simply for asking if they had this information," Roberge told reporters. "While a few months before, hundreds of school administrations answered (the same questions)." Roberge told reporters more than 1,100 school administrators responded to the survey, which was available on the Education Department's internal portal, accessible to school principals. The deadline to respond was Dec. 14. Roberge said 84 per cent of the respondents said no one in their institution wears a religious symbol. And no school had more than five employees who wore a religious symbol. "There are very, very, very, very few people who wear religious symbols in Quebec schools," the minister said. Michael Cohen, spokesman for the English Montreal School Board, said some schools in his board received the survey while others did not. "We do not keep statistics on how many of our employees wear religious symbols," he said in an email. Alain Perron, spokesman for Montreal's main French-language school board, the Commission scolaire de Montreal, said all of its schools received the survey. He wasn't able to say if each principal responded. "The survey was administered directly by the department on its (web) portal," Perron said in an interview. "It didn't go through the board at all." Sebastien Proulx, a Liberal member of the legislature who was education minister when the department began putting together the survey, told reporters Tuesday he wasn't aware it was happening under his watch. "One thing is certain," Proulx said, "I wasn't education minister when it was sent. Whether it was created by one of the 1,000 people in the department is one thing. But the day it's sent, you have to assume responsibility .... I would not have authorized it." 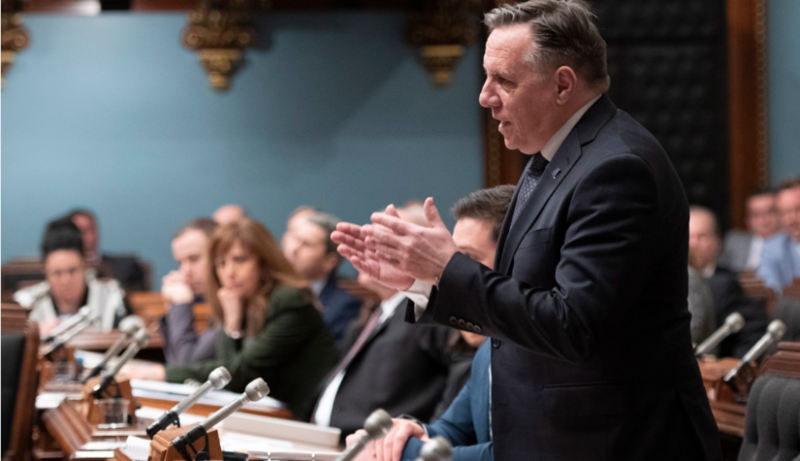 Legault said Monday it doesn't matter how few teachers in Quebec wear religious symbols at work. He said governments need to have a "vision" and recognize that the practice will become more prevalent. "We know there will be more and more in our society, and in other societies, and we should have legislated on this issue years ago," he told reporters. On the first day of the session, Legault also announced some minor changes to his cabinet. The portfolio for the status of women was handed over to Isabelle Charette, who immediately took the opportunity to express her perspectives on religious symbols - mainly, the hijab. During a press conference following her appointment this afternoon, Charette indicated that wearing a hijab doesn't correspond with her values because it symbolizes oppression and impedes a woman's progress in society. Legault's hand-off to Charette comes after Justice Minister Sonia Lebel expressed the need to lighten her workload. Legault also took the opportunity Tuesday to assert his confidence in embattled Agriculture Minister Andre Lamontagne. Earlier this week, Lamontagne came under fire for saying that he fired whistleblower Louis Robert, then later saying it was purely an administrative decision made without politics in mind - but a decision he didn not perosnally authorize. Despite the controversy and the questions that linger, Legault says he is standing by his minister 100%. "We have asked the Ombudsperson to review reasons why the guy has been fired," he said. "I would wait for a report before making any more decisions."